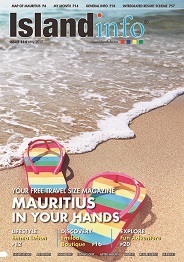 Flemingo Duty Free (Mauritius) Ltd is the result of a joint venture between Mauvilac Group and Flemingo International.. Situated on the quiet Coastal Road, of Roches Noires (B15), on the North East Coast of the Island. Created by the T.N.T Company, the famous Serge Blanco brand has never ceased to impose its chic and yet relaxed style since 15 years.